John Michael Klebba, age 62 of Burlington, WI entered into eternal life on Friday, November 16, 2018 at the Zilber Family Hospice in Wauwatosa, WI with his devoted wife "Brie" by his side. John was born on August 23, 1956 in Bad Axe, Michigan to John Peter Klebba and Margaret Emma Trepkowski. On October 15, 2004, he was united in marriage to Brenda Moore. He is survived by his wife Brenda (Brie); dog Snickers; daughters Jennifer Challe (Dan) of Lake Geneva and Michelle Barth (Mike) of Delavan; seven grandchildren - Brooke, Skylar, Danyelle, Jacob, Emily, Stephanie and Kaitlyn; sister-in-law Arlene of Michigan; brother Donald of Michigan; sister Grace (David) of Michigan; sister Martha of Michigan; sister Mary (Steve) of Wisconsin. He is further survived by many nieces, nephews, other relatives and many friends. He was preceded in death by his parents, sister Bertha and brother Virgil. 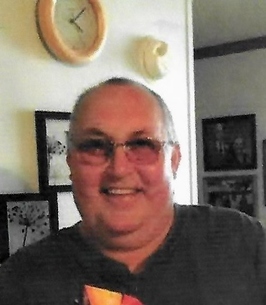 John was an avid Michigan Wolverine fan and liked to golf and go fishing. He was a member of the Como Community Church and he was employed at Strattec for the past 26 years. John wanted to make more memories with his wife Brie, so they began to plan different trips around the Unites States. A visitation is planned for Wednesday, November 21, 2018 at the Como Community Church (W3901 Palmer Road, Lake Geneva) from 10 to 11 a.m. with a service at 11 a.m., Pastor Bob Kamps officiating. Burial will follow at the Sunset Ridge Memorial Park in Kenosha, WI. Steinke-Lazarczyk Family Funeral Home and Cremation Services of Lake Geneva, WI is proudly serving the Family. To send flowers to the family of John Michael Klebba, please visit our Heartfelt Sympathies Store. We just want to offer our condolences Brenda & family for your loss. John was a good friend from work and he will truly be missed. Sorry I missed the services. I happy I got to see John at the hospital. You will be in our hearts and prayers.